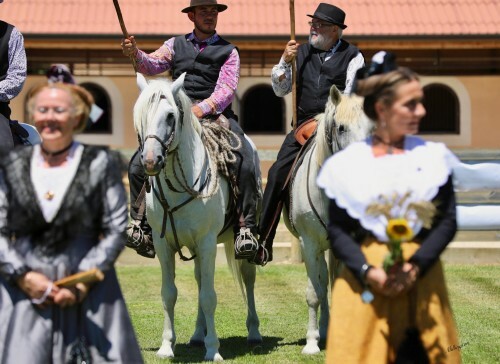 Following the presentation of the horses, there was a talk about the history of the Camargue horse, which are so typical for this region, as well as a small demonstration. People flock to the Mediterranean coast of France to see the herds of wild white horses. The Carmargue horse is said to have lived in the marshes and wetlands for thousands of years. They are excellent mounts for herding and work and the traditional mount of the “gardians” who herd the black Carmague bulls used in bullfighting in southern France. 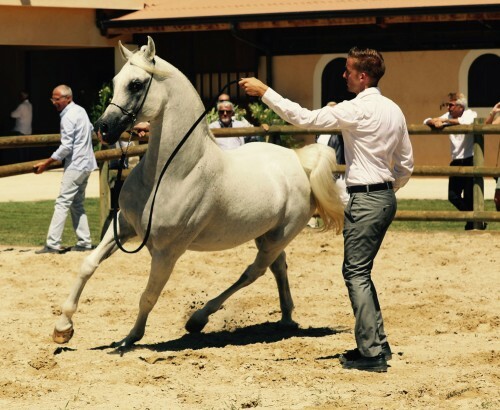 In Menton, the exceptional Mozn Albidayer garnered Gold Champion Junior Filly. 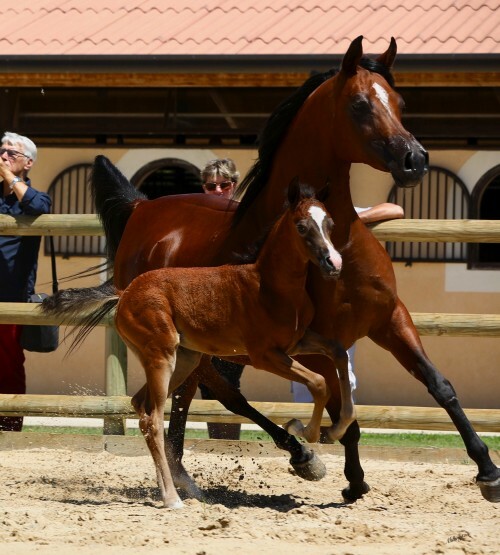 The very next day, visitors of Haras de Montpezat enjoyed Mozn Albidayers’ three-quarter sister, Mashael Albidayer out of Mattahari; she is, of course, also elegant and beautiful, but this time in bay like her sire Psyrasic. “Mashael Albidayer is there for breeding and perhaps will show again in the future, as well as a lovely Gazal daughter, a Falcon BHF daughter and some mares by Shanghai EA,” Dawn Martin tells. 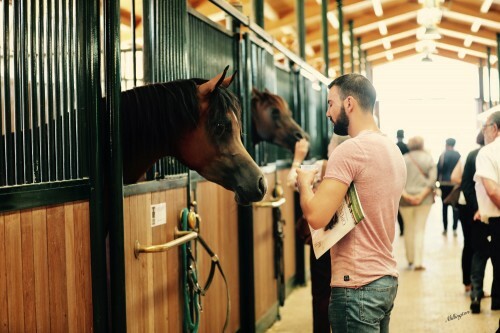 While white doves flying to the blue sky crossing Haras de Montpezat they witness the fantastic Open Day day and another historical monument – the passionate breeding program of Albidayer Stud.